If you have high blood sugar, it doesn't mean you will get diabetes, but it is a big red flag warning you that it's probable if you don't make some lifestyle changes. 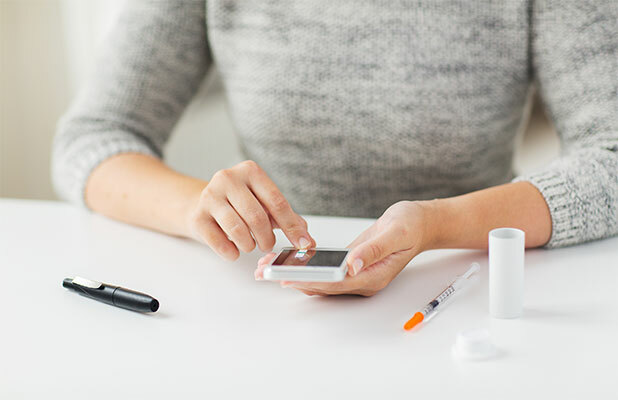 We all know someone, or have had someone in the family, who is diabetic, and have heard about the insulin shots, poor circulation and feet problems that come along with it, so it's well understood that prediabetes is a condition to take seriously. Fortunately, the Beyond Diet program has proven to be an effective way to lower blood sugar naturally. In case you aren't familiar with the term "prediabetes," also known as impaired glucose tolerance, it means that your blood sugar is higher than normal. It's not a disease in itself, but a condition that indicates that the onset of diabetes is likely, and the internal damage to your heart and other organs associated with diabetes could already be starting. Sorry for the heavy note, but it's important to understand, and the good news is that we are right here with the solution. 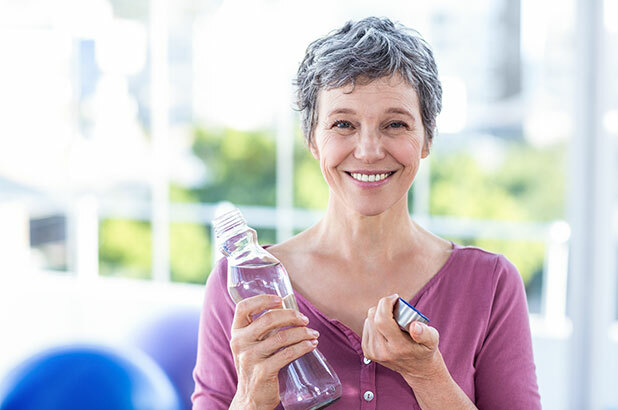 You know that natural ways to lower blood sugar are going to include the basics of self care, but if you are resistant to managing your diet and exercising, we understand! It can be hard to get motivated to exercise after a day of work, and you've probably suffered through unpleasant diets in vain attempts at losing weight in the past. After all, who hasn't? And to make matters worse, after the dreaded diet finally comes to an end, the pounds creep right back on, often without even having the courtesy to wait a month or two before showing themselves again. Take heart because the first lifestyle change in your quest to control blood sugar naturally is to never starve yourself again! Your body is an amazing and complex organism made up of several different systems. Your digestive system provides the energy to power all the functions of your body, so denying yourself whole foods and necessary nutrients only interferes with the healthy functioning of the rest of your body. To overcome prediabetes, or even reverse Type 2 diabetes, your diet should consist of delicious, natural, whole foods without chemical additives of any kind. Why delicious? Because if your meal plan doesn't make you feel happy and satisfied, you won't stick to it. If you feel you have suffered enough and deserve a treat, so you go out and eat a brownie and a pint of ice cream, or worse yet, spend the weekend eating everything in sight, you'll experience a major setback in your blood sugar, but also in your confidence, and you'll dread getting back on your diet on Monday. However, if you are on a meal plan that allows you to have naturally sweetened treats along with the kind of meals you would order in a restaurant (like Salsa Lime Chicken, a Beyond Diet favorite! ), and snacks to keep you feeling satisfied throughout the day, you are likely to stick to it, and if you decide to indulge in a piece of birthday cake at a party, you can be happy with one slice and enjoy it without guilt, and without making yourself sick with an uncontrolled binge. It's important that you feel like you are in control of what you eat. 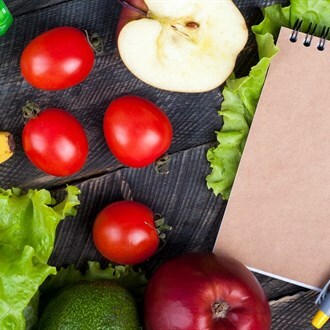 Prepared meal plans can be great tools that make it easier to figure out what to eat and give you a shopping list to assure that you have all the necessary ingredients on hand, but you still need to go through them and make adjustments for your own needs. 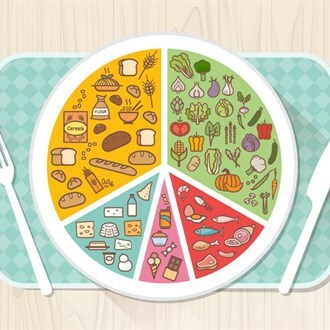 You may need smaller or larger portions, depending on your size and activity level, you may be sensitive or allergic to foods on the menu, and equally importantly, you may just not like some of the meals. Don't force yourself to gag down something you don't like, you can always substitute a similar food, or swap out an entire meal. Usually, meal plans are set up so that breakfasts are all interchangeable, and so are lunches and dinners. In addition to eating a well-balanced diet, you need to get regular exercise. If walking is all you can do right now, then go for a walk every day. If you are able to work in intervals of jogging or running, you will get much more benefit from the increased intervals of exertion, even if they are just for a minute at a time. Exercise is important to keep your circulation up and tone your muscles, but working hard also forces your body to use more energy, which lowers your blood sugar naturally. The food choices you make are an important part of how to control blood sugar. In addition to being satisfying, they should support your body's natural processes and help to balance your blood sugar levels. Eating protein, carbohydrates, and fats at each meal will provide the nutrients you need in a way that helps to balance the amount of sugar that goes into your blood over a longer period of time so you will stay full longer and not have blood sugar spikes. If you feel tired after eating or get hungry an hour after a meal, it means the food you ate wasn't right for your body, so try to be aware of how different foods make you feel, and eliminate the bad ones from your diet. For your proteins, meat, poultry, and eggs should be from organic, well cared for animals. Grass-fed beef, free range pork and chickens (and their eggs), and wild-caught fish are the only kind we recommend. Animals raised in crowded quarters and fed cheap commercial foods are often ill and heavily dosed with antibiotics, which you will ingest when you eat them. "The food choices you make are possibly the most important part of controlling blood sugar levels." It is important to eat organic foods whenever possible because, in addition to cheap grains and antibiotics, animals are given growth hormones. Plants are treated with antifungals, pesticides, and herbicides, all of which are toxic chemicals in your body. Pesticides build up on your intestinal wall so that nutrients are not absorbed properly and they can also accumulate and clog up your liver, which means it can't perform its job of burning fat and helping to balance blood sugar. 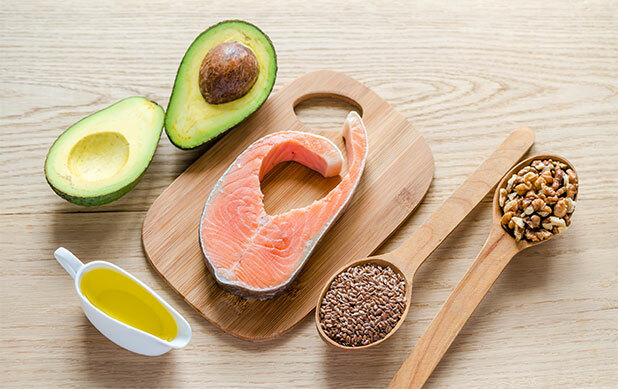 Fats are also important, especially Omega-3 essential fatty acids. Ideally your diet will consist of a ratio of one Omega-3 to two or four Omega-6 fats, but most foods in the typical diet today are much higher in Omega-6, so it's good to make a point of consuming oily fish (such as salmon), organic eggs, naturally-raised meats, and raw, organic walnuts because they are great sources of Omega-3s. Carbohydrates are the other major food group and are very important to normalizing blood sugar. You should eat organic vegetables with all your meals, and have a moderate amount of fruit and whole grains. For twelve great recipes to get you on your way to lowering your blood sugar naturally, click this link to get Beyond Diet's free gift to you, Eggs a Dozen Ways. You'll be surprised at the variety of ways you can enjoy eggs while eating healthy meals. 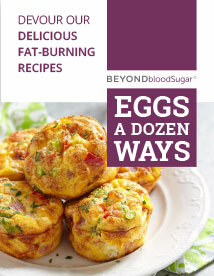 Satisfy your cravings with 'Eggs A Dozen Ways' - 12 yummy eggs recipes to begin your Beyond Diet weight loss journey today! * Disclaimer: Results may vary from one person to another. 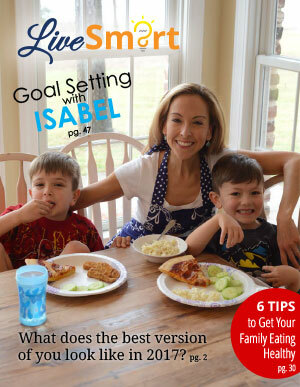 LiveSmart is your monthly weight loss inspiration. Each month, you get the latest in health and weight loss news, exclusive coaching, 28 days of done-for-you meal plans (including recipes and shopping lists), and so much more. Stay thin and healthy for life, without ever having to diet again. Beyond Diet is a complete lifestyle program that will help you lose weight and get healthy. All you need to reset your body and your life is 9 days. 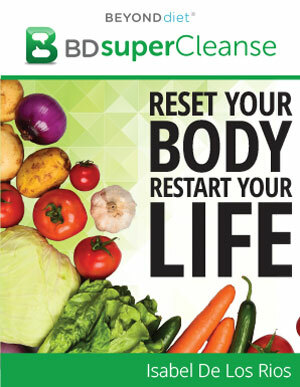 The Super Cleanse is a whole foods cleanse designed to detox your body from the inside out in 3 easy phases. How do I lower my blood sugar quickly? If your blood sugar is too high and you are taking medication prescribed by a doctor to help you manage it, make sure you have taken it first as directed. Medication is the fastest way to bring it down. Some people use mealtime insulin, and if you are one of those, you can take a correction dose, but this is something that you would have had to be trained on so you know when to use it and how much. If you don't have medication, the next fastest way to bring your blood sugar down quickly is exercise. Any kind of physical activity will help, so if walking is what you can do, then start walking right away. Regular exercise is important if you want to normalize blood sugar. The reason blood sugar is high is that it is not being transferred into your cells the way it should be, so it accumulates in the blood. Insulin helps get the sugar through the cell walls and into the cells where it can be used for energy, but sometimes people are “insulin resistant,” meaning insulin can't do its job, so to lower blood sugar, you need to get that system functioning well. Regular exercise increases insulin sensitivity so sugar can get from your blood into the cells more easily. Eating a diet that is high in protein, and cutting out simple carbohydrates like sugary treats and processed grains (white bread, pastries, etc.) avoids spiking the blood sugar level up too high in the first place, so eating only whole, natural foods is an easy way to lower blood sugar into a healthy range. How long does it take to normalize blood sugar? The amount of time it takes to normalize blood sugar will depend on your overall health and the situation. If you have just been diagnosed with a prediabetic or diabetic condition, you can see improvements within days of beginning to get regular exercise and eat a meal plan consisting of natural whole foods, but it can take a couple of months to stabilize at a normal level if you have had the condition for a long time. Your organs need time to heal and your system has to adjust, but stick with it—long-term results are worth working for! 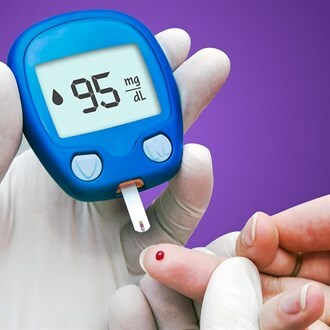 How can you lower blood sugar without medication? The good news about lowering blood sugar without medication is that it is a very simple and straightforward process. You do not need to do anything extreme like fasting, and you don't need a suite of expensive supplements or unappetizing meal replacements. To get the fastest results, you need to immediately start eating natural, whole foods that are free from added sugars and any kind of chemical additives. Make sure to have protein with every meal and a little with snacks too. Avoid processed grains, and instead eat vegetables, fruit, and a lesser amount of whole grains like quinoa. 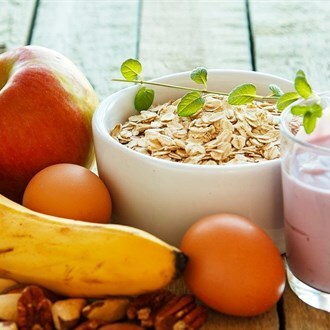 Beyond Diet and our related program Beyond Blood Sugar provide a lot more information on what to eat and how to indulge your sweet tooth without messing up your blood sugar. 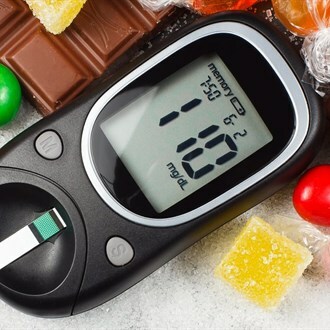 What does it mean to have a high glucose level? Food is broken down through digestion into a form of sugar that your cells can use for energy—and that sugar is glucose. It is transported to the cells in your body in the bloodstream, so a high glucose level means that the amount of sugar (glucose) in your blood is higher than it should be. It is an indication that the sugar isn't being used by the cells, which can be because you don't have enough insulin (a hormone that helps glucose enter cells, where it can be used). Are strawberries good for a diabetic? Strawberries and other berries are some of the best fruits for diabetics because they are among those with the lowest sugar content. Because fruits provide mainly sugar, they should be consumed in moderation, along with a healthy portion of protein and some vegetables. Every body is different, so the real question is whether they are good for you, and the answer is found by paying attention to the effects that strawberries have on your blood sugar readings and how you feel when you eat them.